There are 2 reasons why everyone loves Pinterest: you can find visuals on any topic and you get to virtually pin stuff into neat folders (the buttons make it fun.) 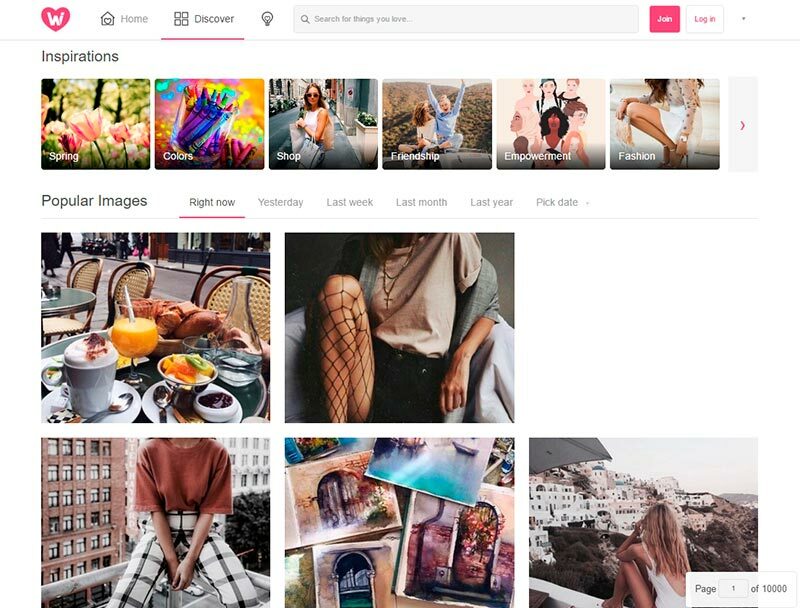 You have all your inspiration organized into boards and the search for images becomes addicting before you know it.Pinterest seems to speak a universal language; it’s all about the images. ‘Visual bookmarking’ has become a habit for many of us. If you’d like to spread your influence to other realms of the internet, here are 10 surprising alternatives that might just contribute to your creativity (there’s even a Pinterest alternative for manly men). Of all the platforms we’ll be discussing, Juxtapost is probably the biggest competition. It certainly is the largest platform and shares all the similar features with Pinterest. 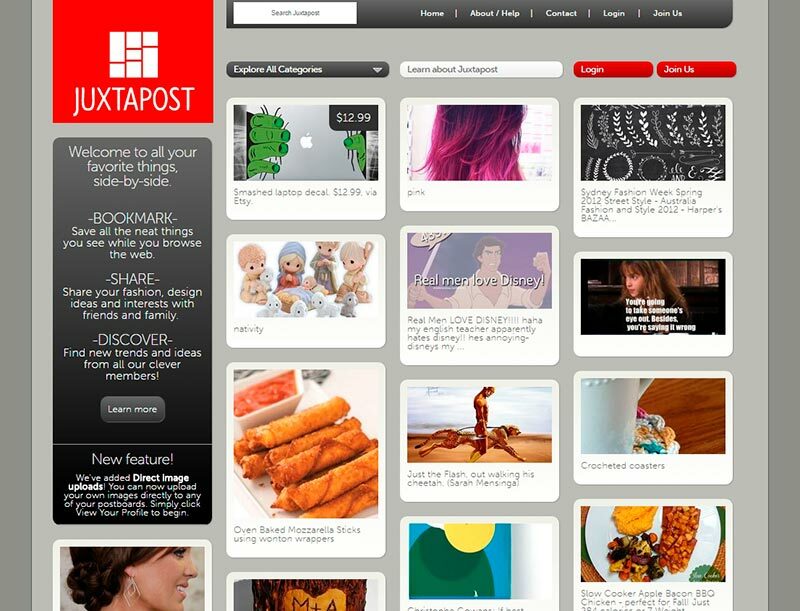 You can create categories and share them with specific people, collaborate on categories with other users and do all the same things as on Pinterest.Here’s what Juxtapost has that Pinterest doesn’t. There is a special tab, More Like This, which allows you to see posts similar to the ones you’ve been viewing. You can do this without leaving the page you’re on. The winning feature of this website is that you can save your bookmarked content as a spreadsheet document. You never know, it might be useful. At first glance, We Heart It clearly has a different demographic as the target audience. 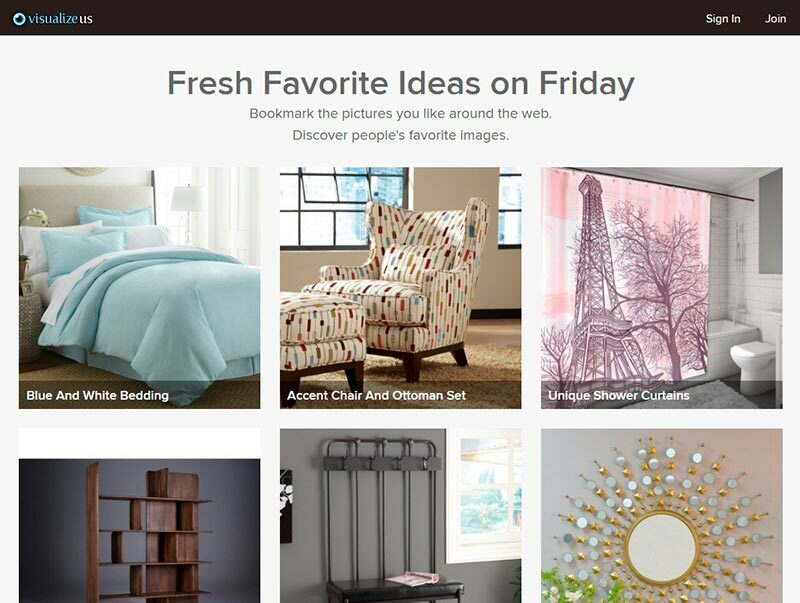 Unlike Pinterest, the website gives you a more basic experience in how you like and discover new users. You can also ‘love’ pictures which is fun. Although it lacks the pinning aspect, and you don’t have boards, it’s still a way to gather your inspiration in one place. There is an additional feature you can install, the Heart Button that will help you submit images you find online to your feed. Designspiration is aimed at those that love design. It’s a feed that covers all fields of design for those that work in creative industries. 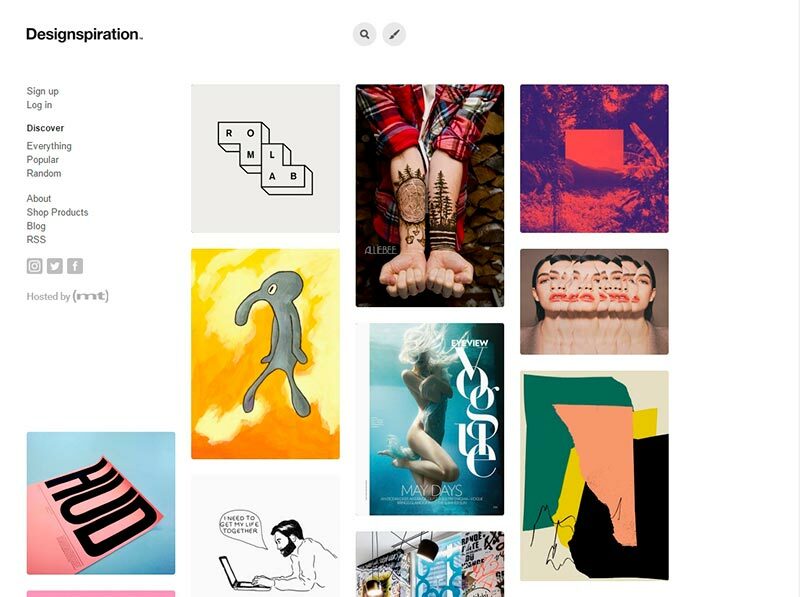 You can discover new artists, share your ideas and favourite works on the web. One of the great benefits of this website is the dynamic search bound to hit home if you’re looking for something more ‘niche’. You can also save your favourite items into collections much like the Pinterest boards. The greatness of Piccsy can be summed up in 3 words: it’s like Pinterest. You can perform all the same functions while looking for creative, inspiring and beautiful pictures. Often times, Piccsy has been said to have a better reputation in terms of content as the user base has an exceptional taste for high-quality content. You also don’t have to sign up to start using Piccsy. 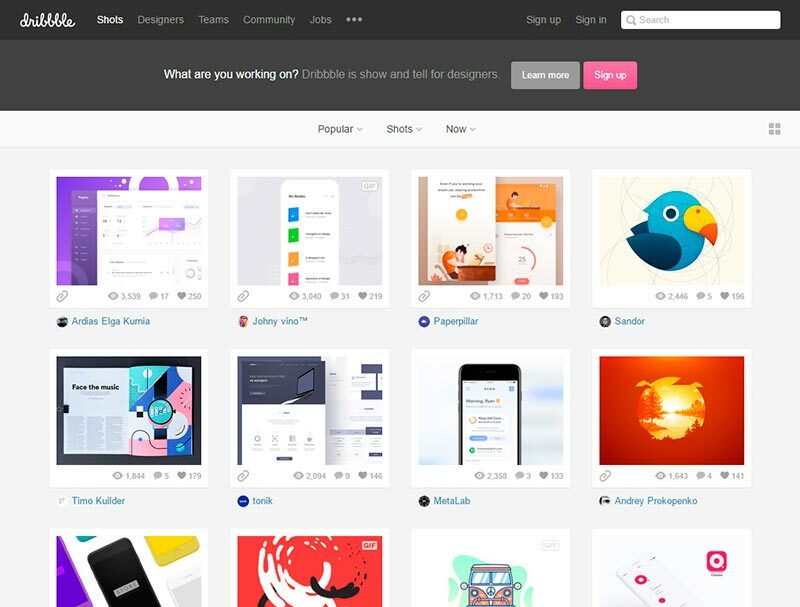 Dribbble prides themselves in being the “show and tell for designers”. It is a website that brings together creatives from different industries including digital artists, illustrators, and graphic designers. Dribbble is a great platform to share your work with other creatives regardless of what field of design you’re working in. If you think your work is worth sharing, you can showcase it here and have an impressive audience be your judge. You can filter content by projects, colors and tags as well as search for designers by location and skills. How is it like Pinterest? It’s not. It’s more specialized but it does transcend Pinterest in terms of design inspiration. Here’s one for all the artists that are slightly disappointed with Pinterest’s art and design collection. 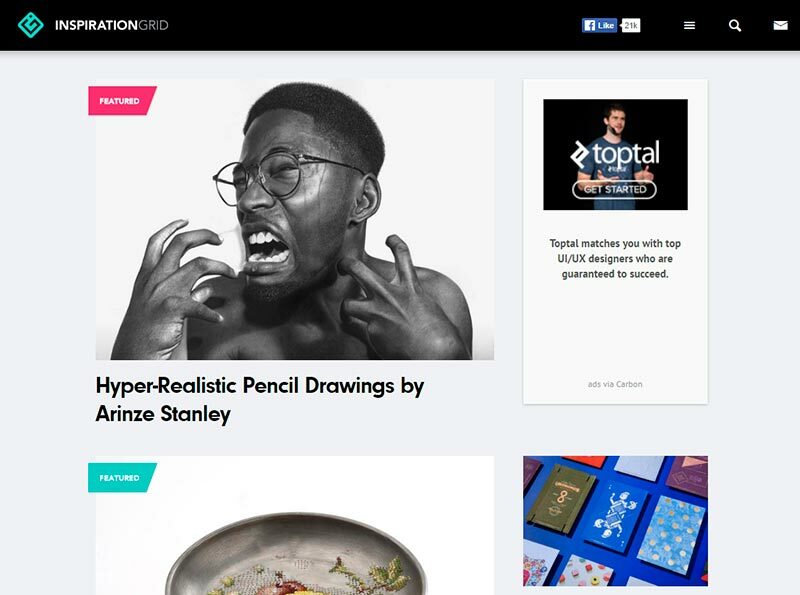 Inspiration Grid is actually an online magazine that brings together talent from all over the world. 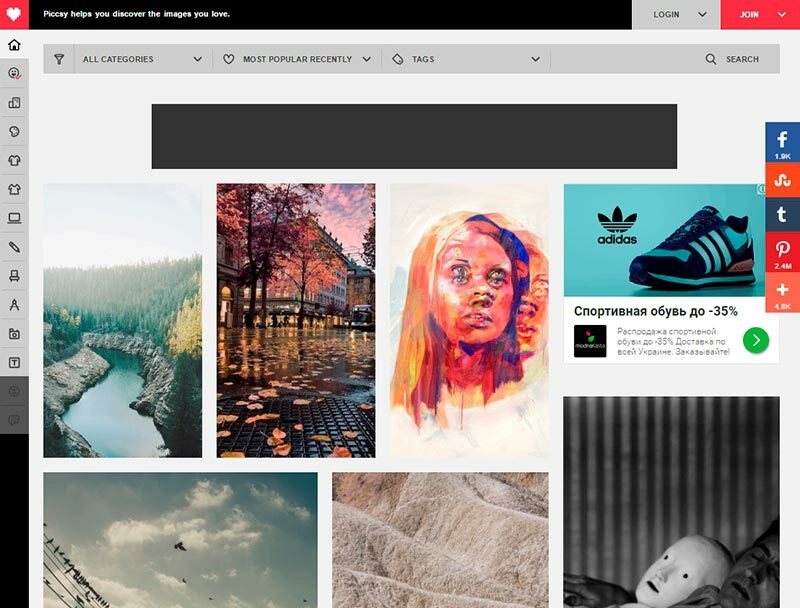 The website is full of visual content which provides users with a daily dose of inspiration in the field of art, design, typography, architecture, illustration, fashion and about a million other creative fields. You might not be able to create boards on the website, but it’s definitely worth the creative sparks that it will ignite. 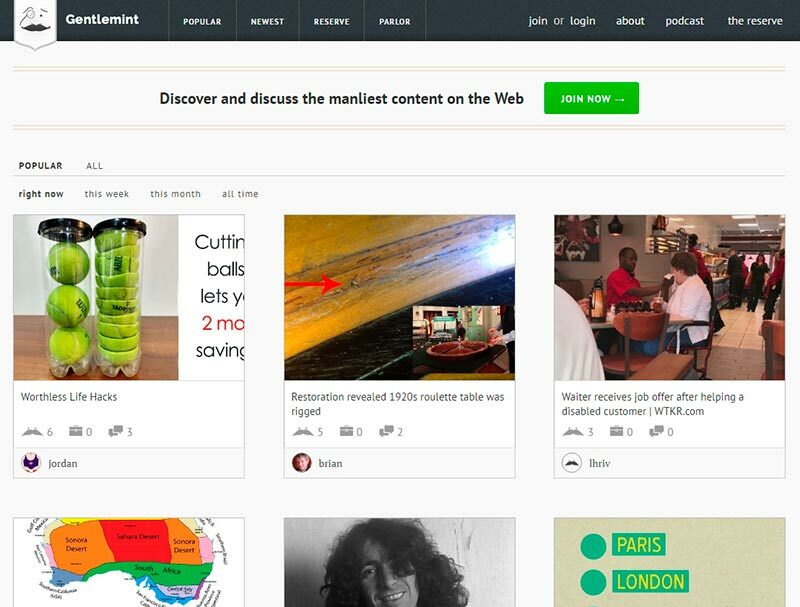 VisualizeUS appears to be a lot like Pinterest at first glance but it places more emphasis on picture and video sharing. 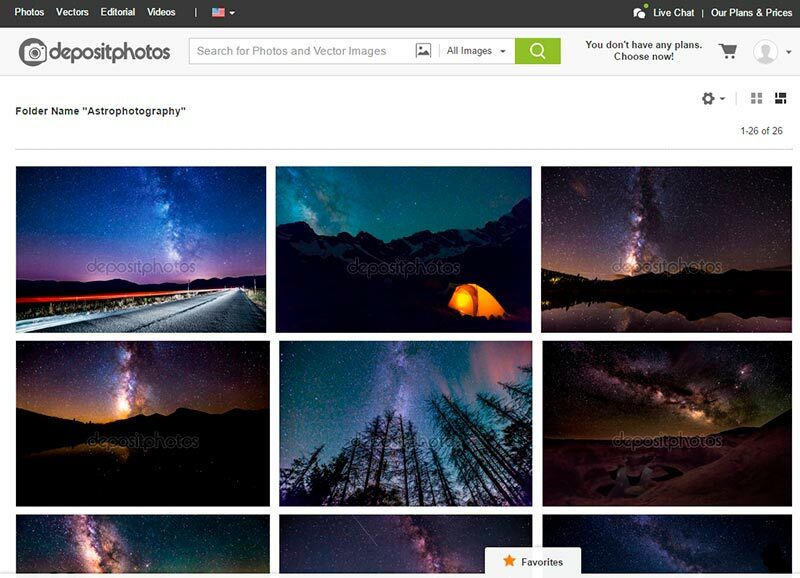 There is an extension to the website that makes it easy to add pictures from around the web to share them on the platform. There’s also a great Shuffle feature that allows you to refresh the page for new inspiration whenever you feel like it. It’s a more simplified website that makes picture sharing interesting. You’ve probably been waiting since paragraph 2 to get to this one! Yes, you get to literally “discover everything that’s manly”. 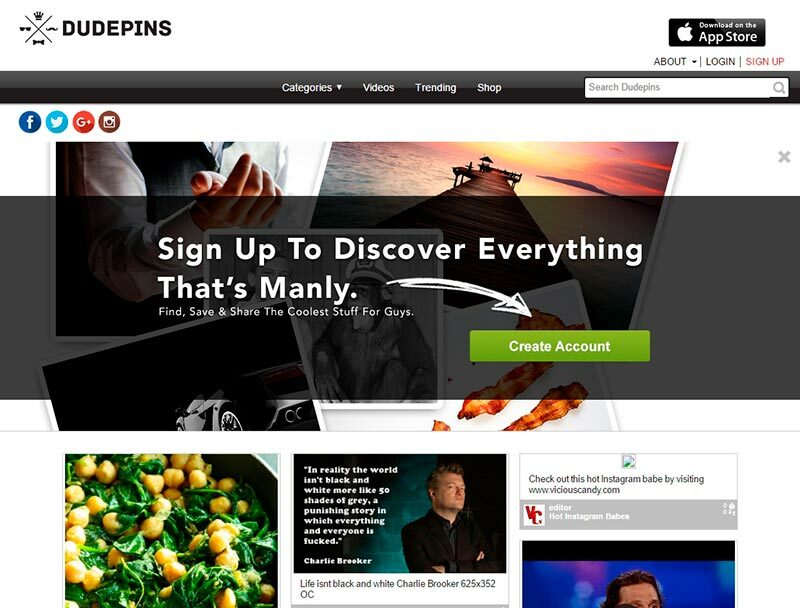 Dudepins is one of the most popular Pinterest alternatives for men. Unlike the other ‘manly’ Pinterest alternatives, this one is more sophisticated and classy. It’s not full of guns, girls and memes, it is rather a community of likeminded individuals that think Pinterest is slightly, well…not so manly. To give men a little bit more variety of choice, Gentlemint has made it to the list. A fun feature on the website is that instead of the like/love/pin button, there are mustaches. Gentlemint is a community that has a more masculine aesthetic and a little bit of good old fashioned humor. The target audience makes this one a popular with the gents so if you are looking for another creative outlet, here’s your chance. Pinterest allows you to pin stuff, and Depositphotos has a special feature called ‘Favourites’. Every image in our database has a star icon which allows you to add files to your own folders. You can scroll through our library and add images to different folders of inspiration. 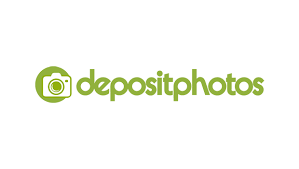 It’s a way to keep your photos organized and take advantage of a library of 60 million files. Another great feature is that you can share those folders with others and purchase images for your projects if need be. You’ll find tips on searching for images here. At the end of the day, it’s all about the inspiration you find and no so much about the platform. Pinterest will never get old, but these alternatives are also fun and something new to try. You can span out your inspiration to other websites and generate new and creative ideas through other means. Could you substitute Pinterest? Stay inspired and share your thoughts with us.